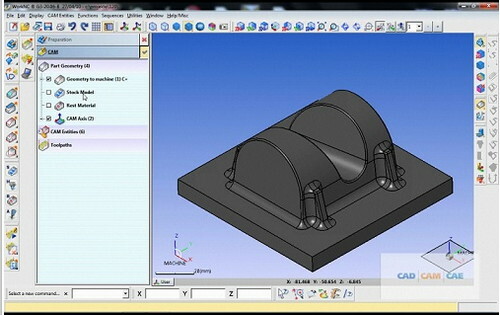 WorkNC CAD / CAM - is an advanced software tools forming trajectories for planar and three-dimensional models in the field of manufacturing molds , dies and tooling .WorkNC is an optional software automation of manufacturing processes that will enhance any system design and manufacturing improvements through amazing automatic features, improve reliability and ease of use . Automatic software features WorkNC allow operators with minimal experience with CAD-systems in just a few minutes automatically create a toolpath . Experienced users of any CAD- systems quickly appreciate useful and unique opportunities offered by the program WorkNC. Whether it is a manufacturing unit or project office , the system will provide WorkNC unmatched reliability and quality.